This April more than 360 students from 29 High Schools across the Commonwealth gathered at the Federal Reserve Bank of Boston for the Massachusetts School Bank Association (MSBA) Annual Spring Conference. The MSBA members represent the community banks and local high schools that operate educational branch offices. Charles River Bank (CRB) is a MSBA member and operates one of these full-service branches in Medway High School with 15 student tellers. Students from each MSBA member school form three teams to compete in the following categories: The Bank Bowl, Marketing, and Product Development. The Bank Bowl is a multi- round, Jeopardy-like game show where teams test their knowledge of banking regulations, products and services. Teams competing in Marketing are all given the same product or service topic the morning they they arrive at the MSBA Spring Conference and must come up with a marketing campaign within an hour using limited supplies provided, then present their marketing campaign to the judges. The Product Development team is given a specific topic approximately one month before the conference, then must do extensive work to develop a new product or service package and create a complete targeted marketing campaign. They must deliver a professional presentation the day of the Conference. Judges are industry professionals from the Federal Reserve Bank and financial institutions throughout the state. 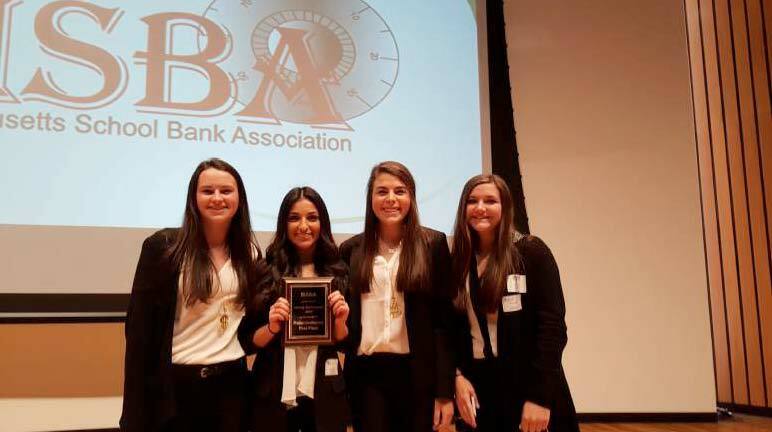 The Charles River Bank/Medway High School team of Student Tellers, including Sarah O’Connor, Ashley Paturzo, Olivia Moores, and Dana Dumouchel, was named Conference Champions when they earned 1st Place in Product Development. This year’s Product Development topic was Credit and Banking Basics. The CRB team presentation included writing and performing a Rap song that memorably explained the difference between debit and credit cards that would be delivered during a student assembly. They also created student focused communication pieces and handouts explaining the different types of cards available, how to save and spend money wisely, and how to budget. A slightly different version of these materials was created for parents to use during ongoing discussions with their high school age children. The CRB/MHS Student Tellers also had a great showing, by placing 4th in the Marketing Competition. Additionally, Cameron Martin who individually entered the MSBA essay contest, was selected as the 1st place winner and was awarded $100. The Medway High office of Charles River Bank is located in the Main Lobby of the school. Each year the CRB School Banking Supervisor selects up to 15 students from approximately 45 interested juniors and seniors. These Student Tellers get hands on experience operating a bank branch, providing customer service, processing bank transactions, handling new account and addressing service inquiries. They also gain an understanding of banking regulations, products and services. 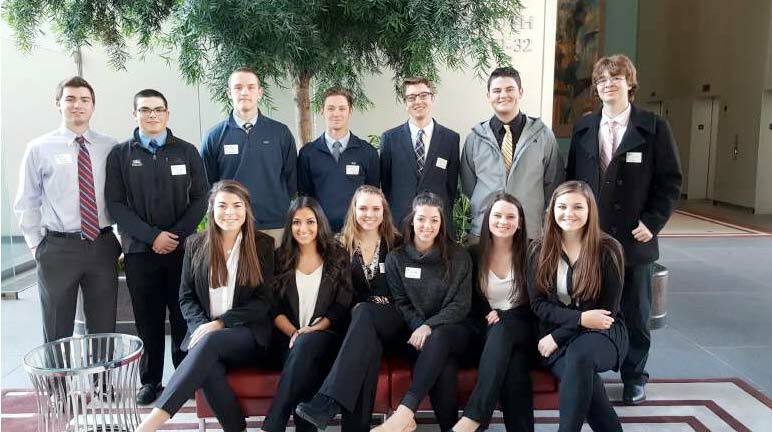 Charles River Bank competed this year with 13 student bankers: Seth Coppinger, Brian Culcasi, Andrew Diebus, Cameron Martin, Luc Lafayette, Connor Jackson and Aidan Brueckner, Olivia Moores, Ashley Paturzo, Jacyln Dunne, Jenna Prutsalis, Sarah O’Connor and Dana Dumouchel.